Happy New Year! Hope all have had a wonderful holiday season. In December, have you received "Living in York Region" newsletter? This real estate market watch is regularly prepared and mailed out from our brokerage. It always carries worthy stories in current real estate. 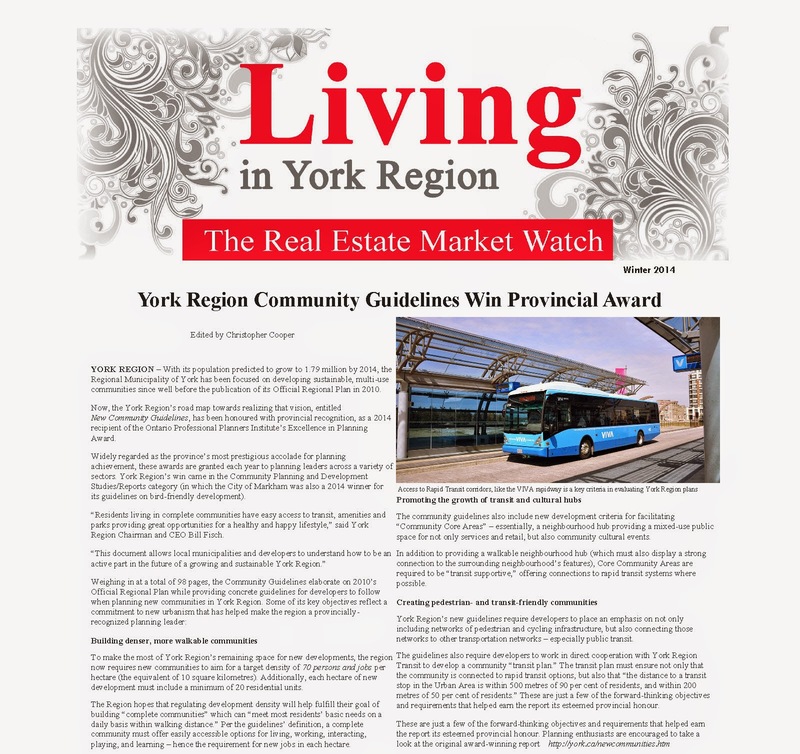 In the 2014 Winter edition, we highlighted : York Region winning Ontario Professional Planners Institute (OPPI) award for the New Communities Guidelines. * create destrian- and transit-friendly communities. 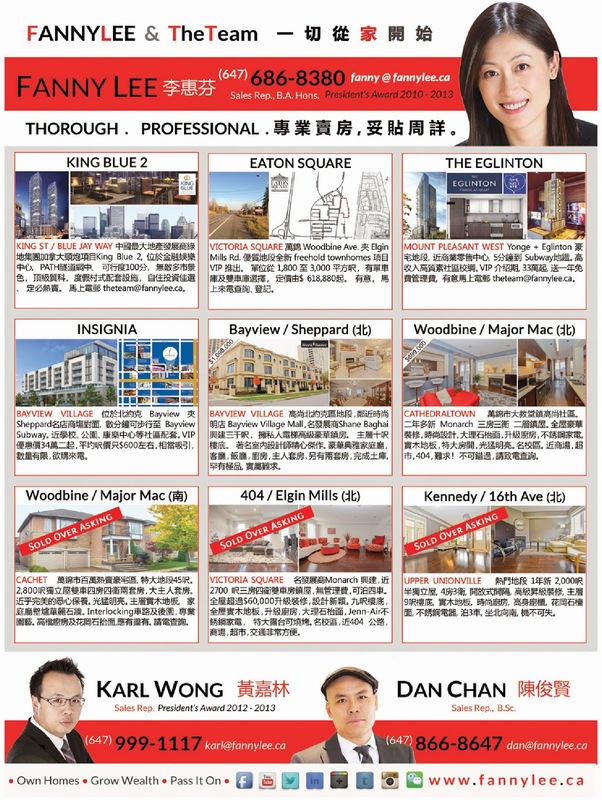 In the back of the newsletter, we shared some of the new and exciting property opportunities available in the area. Feel free to contact us.